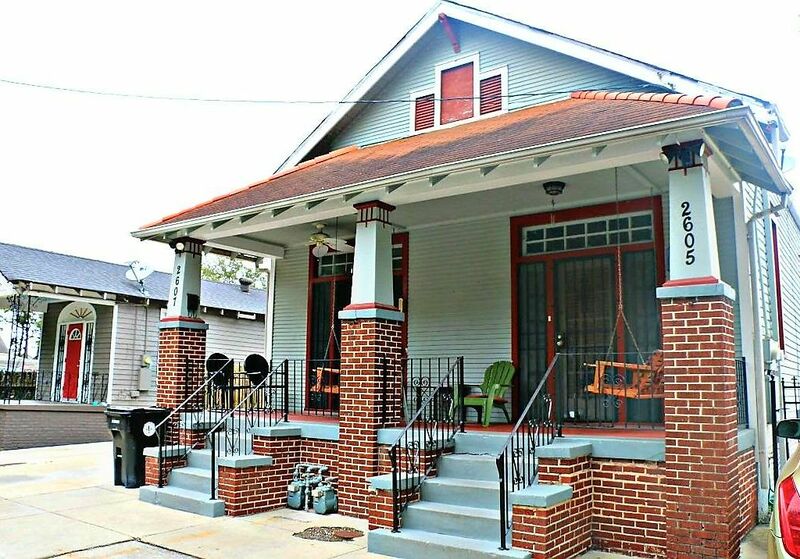 This home is the perfect location to enjoy all that New Orleans has to offer. This home is great for family, couples or groups. It is located in the heart of New Orleans in Mid-City; within a three - five minute ride to all major events inside the city. The famous Canal Street Car/ Trolley is only two blocks away. The neighborhood has 3 fabulous local restaurants, The Melt, The Pharmacy & Mr. Everything literally outside of the front door on each street corner. So, come and enjoy all that New Orleans has to offer from the best location in the city. "Laissez le bon ton roulet!" Let the Good Times Roll!!! I am a life long residence of New Orleans, La. I have an unwavering love for the city's music, cuisine, culture, heritage, festivals, Mardi Gras, traditions and much, much more. Come and experience the passion that is New Orleans. This city is like no other and you will fall in love with the Big Easy! My home is your home away from home. "Laissez les Bon Temps Rouler!" LET THE GOOD TIMES ROLL!!! You can enjoy a taste of New Orleans at the neighborhood Cafes, ride the Canal Street Car to the CBD, French Quarter, Harrah's Casino, Aquarium of the Americas or take a long walk to museums, Superdome, Smoothie King Arena or Ernest Morial Convention Center. Everything is at your finger tips at this location. Antique cast iron claw foot bath tub n shower w/ 1920 style bathroom sink. The heart of New Orleans with all major attractions and events. Very nice house, had everything thing we needed and then some. Great Location, close to everything!! Awesome couple to rent from, we had a great time!! Our trip was made even better with this excellent rental. The location was perfect, had many great restaurants nearby, and was 3 blocks from the Canal St. trolley. The home was clean, stocked with towels and linens, and had necessities in the fridge as well. Patrick, the owner, was tremendous, and provided us with several recommendations for food and activities. He clearly loves his city and wanted us to love it as well. Mission accomplished! We had a magnificent time hosting Sarah's family. Everyone was very friendly and courteous. Communication was excellent throughout the reservation process and after arrival. They took such wonderful care of the property that it made it easy for us to prep the property for the next guest. We highly recommend Sarah to other Host and will welcome them all back at anytime. The property is just beautiful. Owner Patrick was full of information. Real enjoyable stay people here are so nice. Real convenient to attractions. Nice resturant/bar next door with great margaritas and specials everyday. Will stay again when in the area. It was an absolute joy to host such a wonderful family. Linda is an angel and our door will always be open whenever they visit New Orleans. We couldn't have wished for a better place to stay in New Orleans. The host, Patrick, was super easy to coordinate with. All the way to the thoughtful details of cereal and milk in the fridge. The house was clean, spacious, with a great location. I can't wait for another opportunity to stay here again! House was nice and clean, and hosts were very friendly. Highly recommend! Was furnished well with everything you could need. And even extras. Owners are very nice and informative. Truly enjoyed our stay. We had a great time hosting Amy's family. Our door is always open for this group. Awesome guest!! !